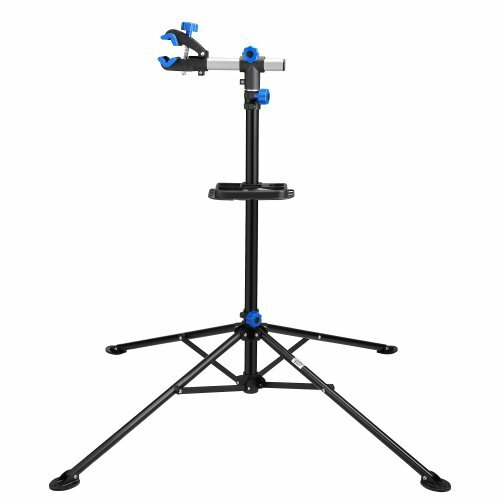 Introducing the all new, RAD Cycle Products Pro Bicycle Repair Stand. This is the one everyone is talking about, but you can only get it here. The Rad Cycle Products Pro Bicycle Stand holds up to 66 pounds (30kg) effortlessly in its heavy duty "Work Horse" clamps that are engineered not to harm your bike's finish. The "Work Horse" clamps are designed to rotate 360 degrees on two axes, and fits nearly every standard tube frame from 1" to 1.5". Included is a tool tray with a magnetic strip to help keep those nuts and bolts where you can find them when it comes time to put them back on. The feet are even pre-drill just in case you want to mount your RAD Cycle Products Pro Bicycle Stand to the floor or work bench permanently, or semi-permanently. If you have any questions about this product by RAD Cycle Products, contact us by completing and submitting the form below. If you are looking for a specif part number, please include it with your message.